Hmmm. We haven't been 100% sold on the "Cardi B. is pregnant" rumors. But, once again, a new set of pics and details around the rapper are making us wonder. 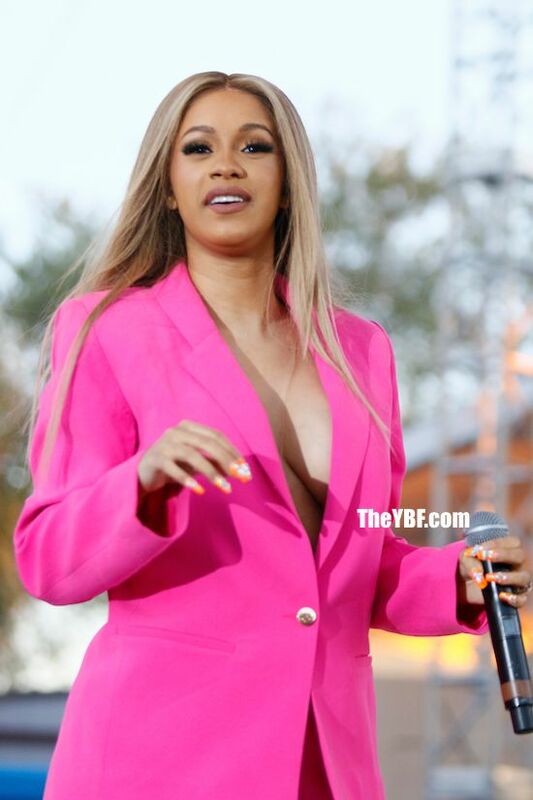 Cardi B. brought her Bartier steez to Tampa radio station Wild 94.1's annual spring Wild Splash concert in Clearwater, FL yesterday. 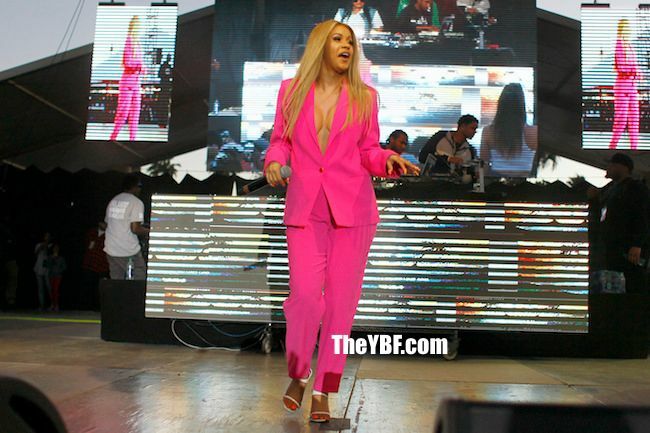 She rocked an unusually loose fitting, hot pink suit - in the heat - and also performed a shortened set. Cardi reportedly complained of being "tired and out of breath," fueling pregnancy rumors even further. Listen, people gain weight in mysterious places. That's previously what Cardi said is going on, as opposed to being pregnant. 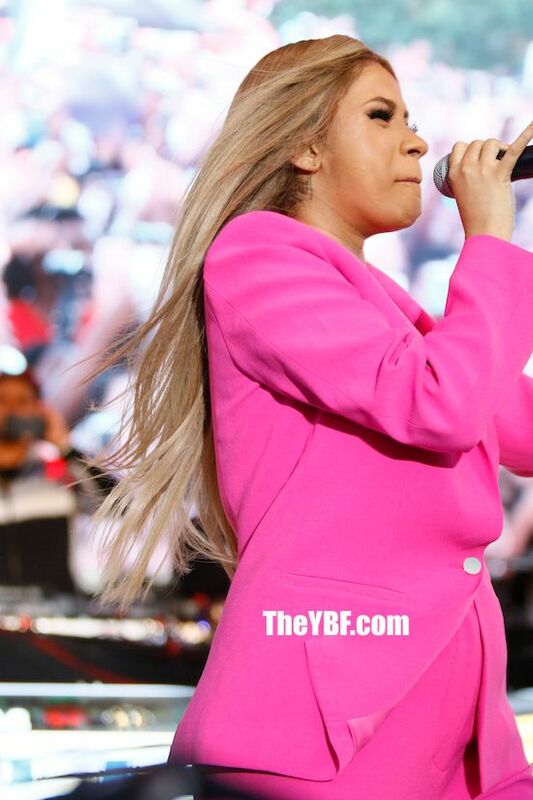 Maybe the lipo treatments prevent her from gaining all over and evenly. Who knows. But we can't even lie, the pregnancy rumors are starting to make more and more sense. Even if both she and her fiancé Offset claim they're not true. She's set to kick off her huge tour alongside Bruno Mars this September, which might, fortunately for her, give her time to pop out a baby if she IS pregnant. 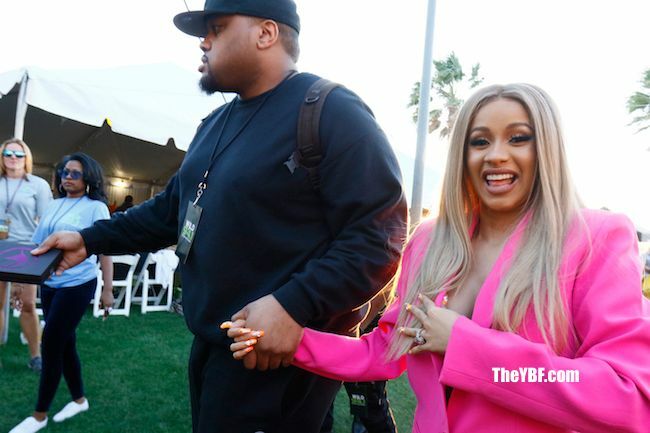 Check out more pics of Cardi in the gallery below that's got us raising our eyebrows (and her engagement ring makes a HUGE appearance too). Photo Gallery // Cardi B. 's Suspcious Bump Makes Another Appearance! PREVIOUS: DO WE LOVE IT?! Did Kerry Washington Pull Off This Risky & Braided Independent Spirit Awards Look?